The fifteenth issue of The Global Journal was my first as Managing Editor, and launched a complete redesign of the print publication that I led in collaboration with Dimitri Kalagas. 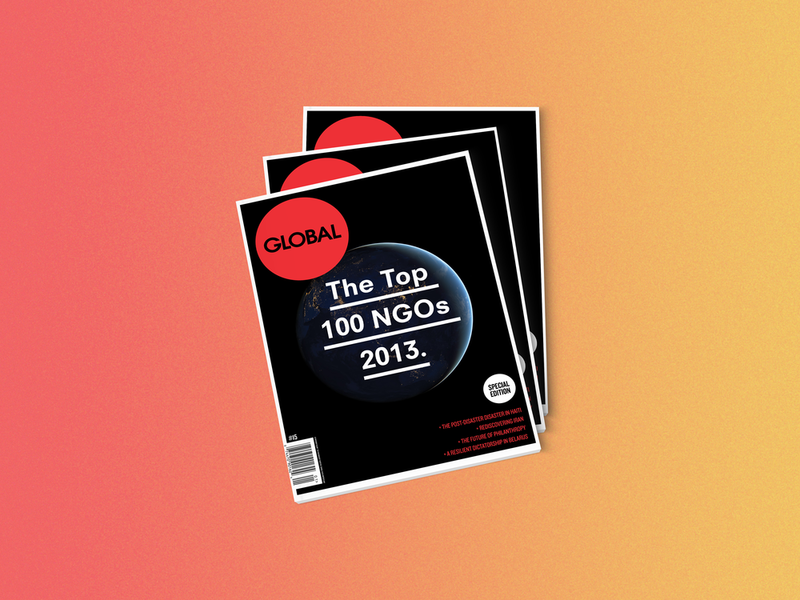 In addition to my editorial role at the international affairs-focused bi-monthly journal, I developed the methodology and managed a four-person research team to produce the second edition of the 'Top 100 NGOs' ranking, which was included in the magazine as a 55-page special feature. The ranking was subsequently referenced by Foreign Policy, The Guardian, and ABC Australia. This issue of the magazine also includes my interview with historian Mark Mazower, as well as contributions from Jonathan M. Katz, David Armitage, Thomas Davies, Laurent Vinatier, and Daniel Blaufuks.